In Mount Abu recently, he spoke to The Sunday Standard about his days in Bollywood, the kissing controversy involving Rekha and the current lot of films. 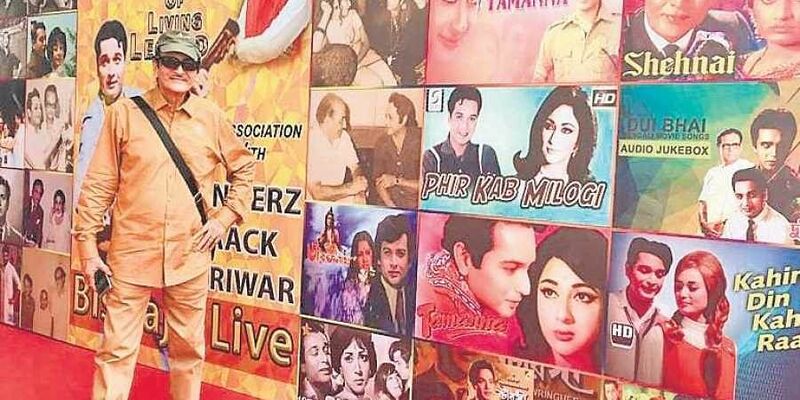 JAIPUR: The sun may have set on his stardom long back, but actor Biswajit Ranjitkumar Chatterjee, better known by his first name, is still remembered for the effervescent, romantic roles he played in Hindi films during the golden era of 1960s. Now in his 80s, he still remains active, albeit on stage. Biswajit had already acted in several Bangla films when he made his Bollywood debut with Bees Saal Baad in 1962. It wasn’t easy to find a footing in the industry dominated by stars like Dilip Kumar, Raj Kapoor and Dev Anand. “I was laughed at and mocked by everyone when I decided to join Bollywood. But I had a strong mind... God helped me when my first film became a blockbuster and after that I didn’t look back. When Subodh Bannerjee took me in his film, that too after the mega success of his film Junglee with Shammi Kapoor, I knew I had arrived,” he says. “I didn’t let myself get typecast. I am a stage product. I grew from being a junior artist to a second lead to a hero,” he says. At a time when many people from the film and television industries are facing allegations of sexual harassment or misconduct, the actor presents his side of the story on the kissing controversy. During the shooting of Anjana Safar (later renamed Do Shikari) Biswajit kept forcibly kissing Rekha, who was debuting with the film, for five minutes. But he claims “it was not like that at all”. “It was a scene which required me to smooch her, which made big news at that time and our pictures were splashed on tabloid covers even in America. This was 40 years back. I recommended her for Saawan Baadho which ultimately released before my film and became her debut. Though I haven’t met her for some time, I share a good equation with Rekha,” he claims. Biswajit has worked in over 200 films and says Dada Thakur is closest to his heart as it received President’s gold medal while a Satyajit Ray film got silver. “My life is very hectic, I am still acting and singing. I just did a play in Gujarat called Ulta Seedha. I am also going to launch my daughter in Bollywood in a film called Dark Shadow,” he said. He says the energy to perform at this age comes from the “best wishes of audience and God’s grace”.